I've been reading lots and lots this last month but I haven't actually bothered to sit down and review any of the books. Very remiss of me. This seems to be a January problem for a lot of people- it's just too gosh darn busy! Have you found that? Anyway, I thought I would do a bit of a monthly catch up and let you all know what I've been reading and what I thought of it. The Luminaries by Eleanor Catton...okay okay so I finished this in December and I actually did review it but it was just so good I can't stop thinking about it! Also, Eleanor Catton is going to be a guest at this year's Perth Writers Festival. I was literally so excited to see this that I screamed. I'm dragging Mum along with me, and hopefully I can convince her to read this amazing book. The Freudian Slip by Marion von Adlerstein- The prize in my recent giveaway! This was a light and funny read but I can't say that it's made it into my favourites. I love the setting and characters because there is a frivolity and friskiness to the advertising industry thanks to TV's Mad Men, and von Adlerstein was actually a part of the scene she so expertly lampoons in this book. At times the phrasing was a little simplistic. Eleanor and Park by Rainbow Rowell is a book which often appears on lists of must read coming of age stories. It's a young adult book set in the eighties, and it's a real read in one sitting text. It's about a girl named Eleanor who is a bit weird and definitely from the wrong side of the tracks. When she moves to a new school she looks destined to be ostracised and bullied but then she sits next to Park and everything changes. Cicada by Moira McKinnon is being launched on March the 7th at FAWWA so come along if you're interested. This book really gets stuck into the cannon of Australian literature and plays with it in a very satisfying way. It features quite deep thinking on the relationship between white landowners and Aboriginal maids/ stockmen in the early 20th Century. Review to come later this month. Shame and the Captives by Tom Keneally is another one I have already reviewed, and I have to say it wasn't for me. I've done a lot of research on Australian/ Japanese interaction from the point of view of Singaporean prisoners in the course of writing my own book- I was really looking forward to seeing a big name in Aussie Literature tackling the other side of that coin, and I was disappointed and bored by the huge amounts of exposition in this book. I can see it's still a pretty great book but it didn't impress me much. Longbourn by Jo Baker- another author I am really keen to see speak at the Perth Writer's Festival. Be warned! This is Jane Austen paraliterature. But more-so, it's very very very good! This book tells Pride and Prejudice from the point of view of the servants, and although it slightly spoiled my good opinion of Mr Bennet (and we all know "my good opinion once lost is lost forever") it also situated P and P in a more meaty historical context. This was a learning experience and I loved it. Cairo by Chris Womersley- My first Womersley but not my last. I'd love to pick up a copy of Bereft. Cairo is all about a writer reflecting about his adolescence, moving out for the first time, and ending up involved in the infamous theft of Picasso's Weeping Woman. Could easily have been cliched but it was enthralling and witty and subtle. I'm going to see Chris speak with Rick Gekoski at PWF. 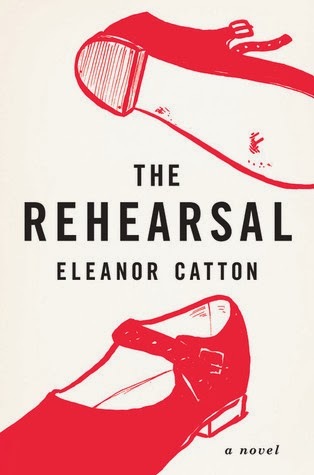 The Rehearsal by Eleanor Catton was an amazing post modern and post structuralist walk though the high school psyche and it really took me back to my days as a drama student. It's a real feat and I recommend it. 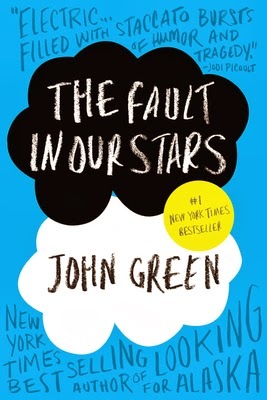 The Fault in Our Stars by John Green... I think I may have been the only person left in the world who hadn't read this yet... I read it at the recommendation of my friend Jen who now lives in Canada and it was beautiful and sad. I cannot wait to see the movie now. Shailene Woodley is the perfect actress to play Hazel. What did you read this month? Always happy to get recommendations. January is always so busy! I hope February finds you with more time for reading!